The microscope photography station is used to photograph and measure archaeobotanical remains. It consists of a polarizing trinocular microscope (Olympus BX53-TF, 50x-500x), a trinocular stereomicroscope (Olympus SZ6145-TR, 6.7-45x), and a high-resolution microscope camera (Olympus DP74). All components are designed to work with Olympus' CellSens software which contains image analysis and measurement tools that are used to collect data on plant attributes. 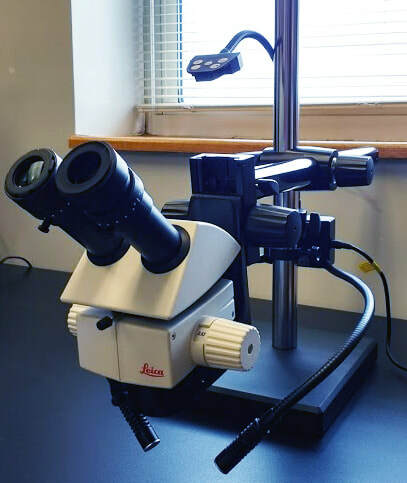 The Leica M50 is a routine stereomicroscope (6.3-40x) mounted on a boom stand that contains five defined, step magnification levels for repeated examinations, seven switchable, locking zoom levels, and a high depth of field for observing samples over an extended area. The light source is a gooseneck, LED spotlight illuminator (Leica LED5000 SLI). The Leica M50 microscope is used to comfortably sort processed sediment samples for archaeobotanical remains and other lines of material evidence (e.g., small lithics, faunal remains, shell, etc.). 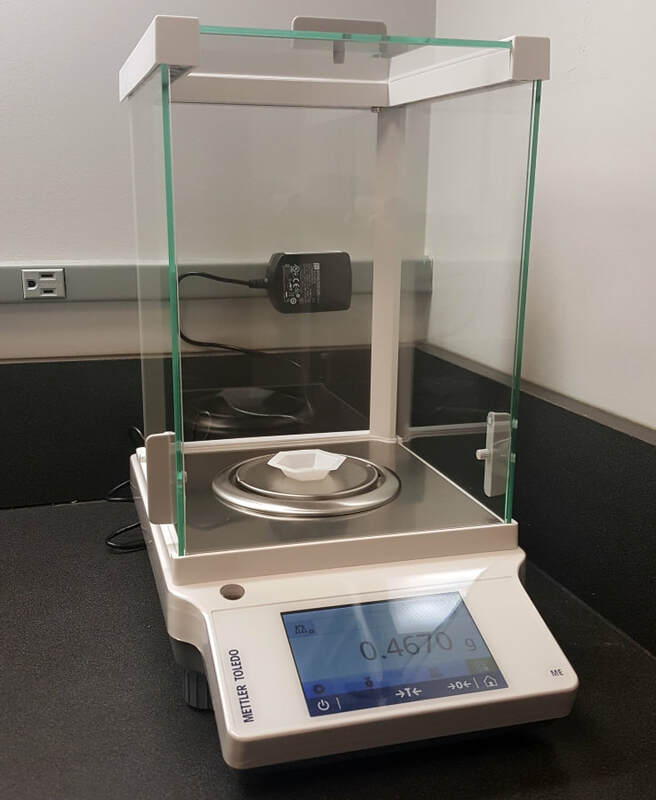 The Mettler Toledo ME104TE/00 analytical balance includes Fully Automatic Calibration Technology (FACT) and is capable of accurately and precisely weighing and recording data related to a small mass of plant or other material (e.g., small seeds, small fish bones, etc.) in the sub-milligram range. It includes a glass draft shield which prevents dust from collecting and ensures that air currents in the room do not affect the balance's operation. The balance features a 120 g capacity, 0.1 mg readability, and a touchscreen and is externally calibrated. 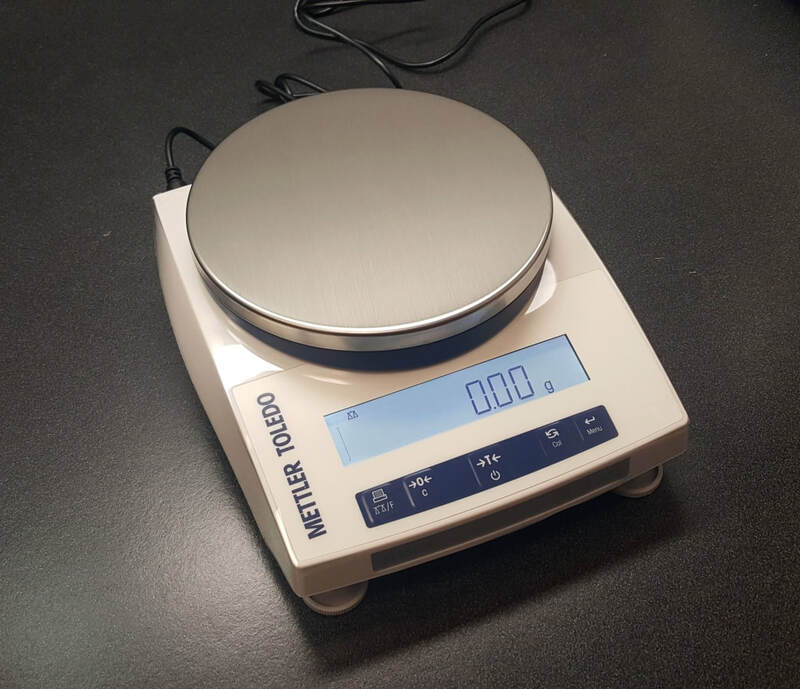 ​The Mettler Toledo PL1502E precision balance is a top loading balance used to weigh larger mass materials such as large quantities of wood charcoal or flotation samples. 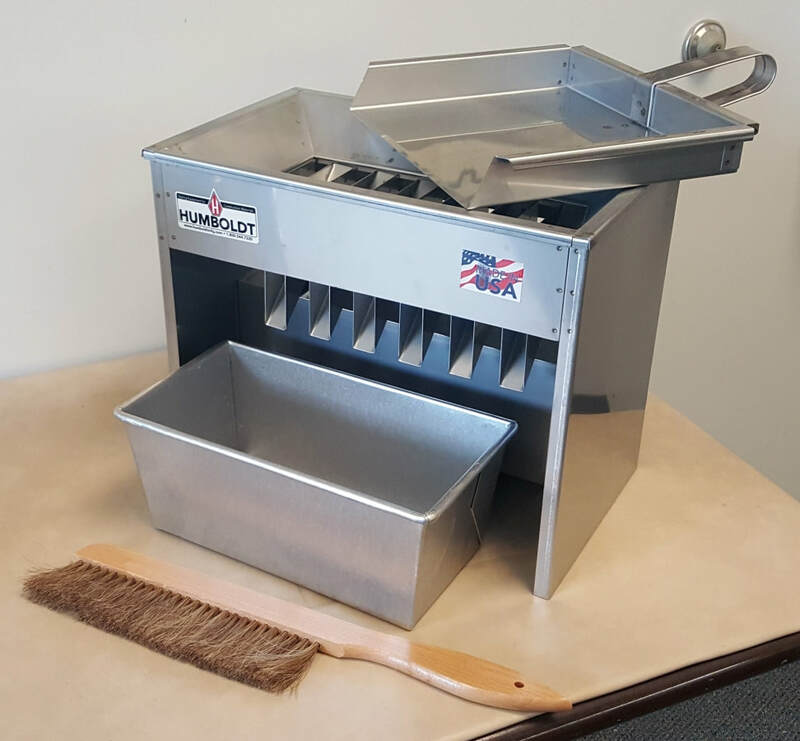 Although precision balances are more precise than the average bench or compact scale, they are not as precise as analytical balances which have a lower capacity but a higher readability. The balance is portable and suits basic weighing needs. It has a 1502 g capacity, 0.01 readability, and the the capability of being battery-operated. Systematic sub-sampling of archaeobotanical samples requires the use of a riffle box. The Humboldt H-3985 can be used to divide (or halve) materials comprising samples (e.g., sediment, seeds, fish bones, etc.). 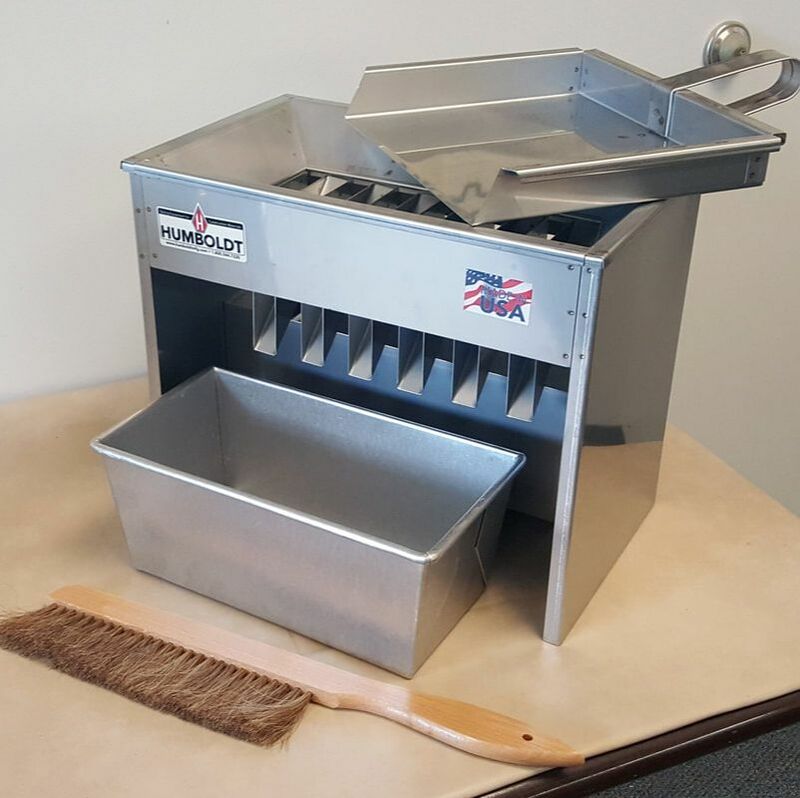 The material that is poured into the removable hopper is divided into two equal portions by 12 chutes which discharge the material into opposite directions for collection within two separate pans (for a 50% sub-sample in each pan). The material can then be further sub-divided into smaller sub-samples. The sorting of archaeobotanical samples under a microscope is greatly facilitated by the initial, rough division of samples by fraction size. 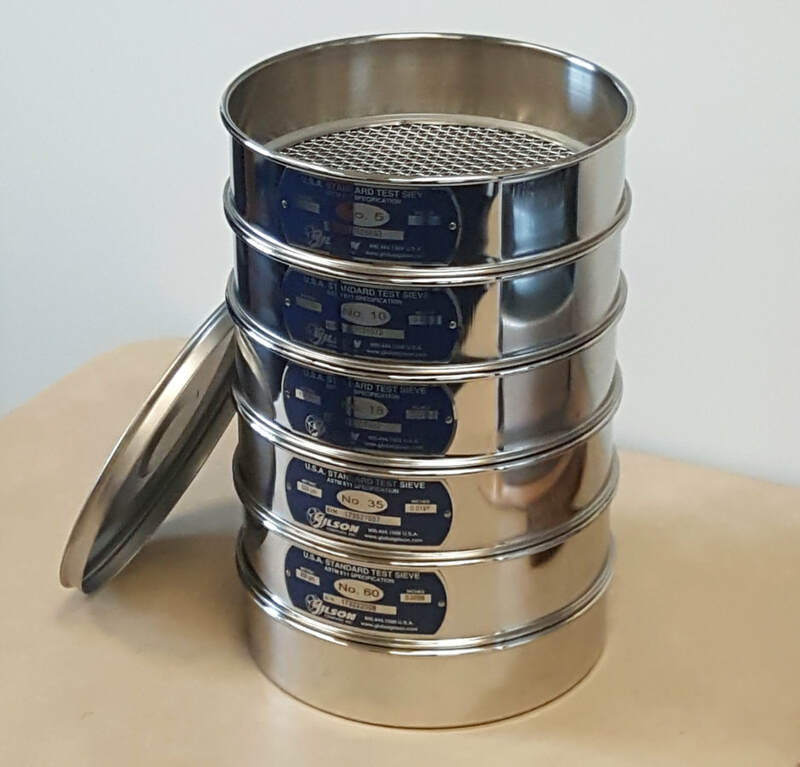 APPL screens samples using graduated, geological test sieves by Gilson that adhere to ASTM international standards. All samples that are analyzed in the laboratory are routinely divided into several size fractions: >4 mm, >2 mm, >1 mm, >.5 mm, >.25 mm, and pan (<.25 mm).